Press on &amp; on. 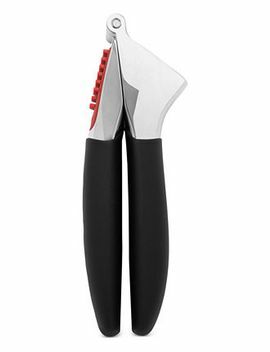 This large-capacity garlic press preps multiple cloves at once &amp; features an innovative hole pattern that easily &amp; effortlessly pushing garlic through. The built-in cleaner pushes out excess garlic.